Physical therapists are trained to evaluate and properly treat individuals on better managing their conditions and preventing future injuries or health issues. Individualized treatment plans are created by the physical therapist to help people reach their long-term goals, which most often involve returning to the level of independence to which they’re accustomed. The aging process brings changes to seniors’ physical conditions. For instance, decreased muscle strength and flexibility can not only make daily tasks difficult but can also prevent seniors from leading an active lifestyle. For many seniors, physical therapy often treats some of the naturally-occurring issues that are part of aging, like managing pain, improving balance and increasing muscle strength and endurance. Many seniors experience daily pain from conditions like arthritis and osteoporosis; in fact, most individuals over the age of 65 have some arthritis in their spine, regardless of whether they have any symptoms. Physical therapy helps preserve strength and use of the joints, so it could help offset future symptoms. Plus, for those already suffering from arthritis pain, physical therapists can teach therapeutic methods designed to reduce the discomfort they may feel. For seniors, falls are the number one cause of accidents leading to bone fractures or head injuries. And, once a fall has occurred, it’s likely that the senior will fall again in the future. Physical therapy helps teach seniors to maintain their stability and prevent additional falls through balance techniques. Physical therapy can be as effective as reducing and managing pain, especially lower back pain, as the variety of medications often prescribed as treatment. In fact, physical therapy has been shown to produce the same results as surgery for conditions like spinal stenosis. 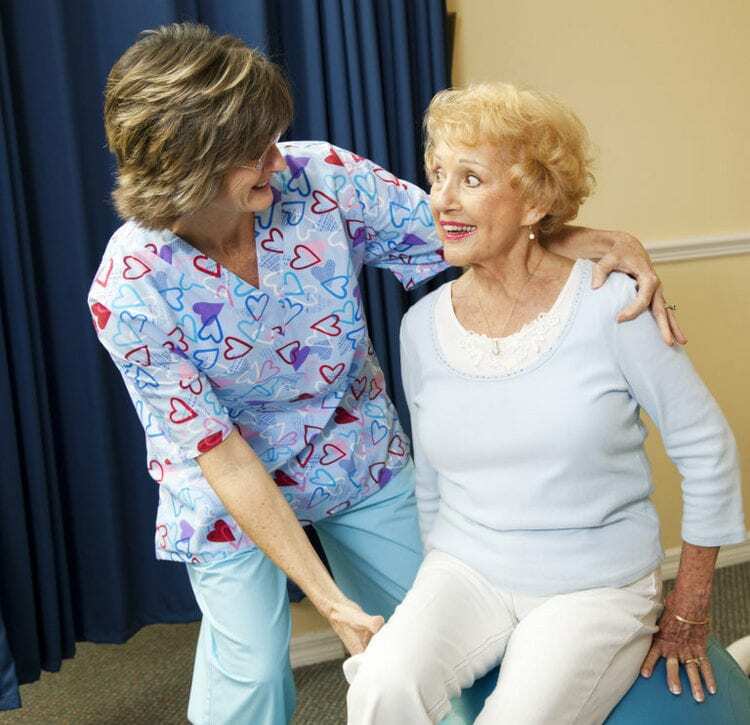 When seniors lose muscle strength and flexibility, they tend to be more prone to injuries. Physical therapy utilizes extension exercises to help seniors learn how to maintain stability in relation to gravity, as well as how to keep their postures strong and erect. The more mobile and active seniors are, the better their overall health. Taking part in a physical therapy program keeps seniors physically fit and strong enough to complete daily tasks on their own, plus maintain a healthy weight. The Rehab to Home program at Peabody Retirement Community offers physical, occupational and speech therapies from a highly-skilled team with the goal of restoring your independence. Patients also enjoy access to our Billie Jane Strauss Wellness Center and unique therapy programs like aquatic therapy in our HydroWorx® Pool, ultrasound MIST® therapy for wound treatment, and spinal decompression therapy. We have a proven track record of helping patients meet their recovery goals, with outstanding outcomes that ensure they’re getting back to health and life sooner. For more information about our services, please contact us today by calling (260) 982-8616.